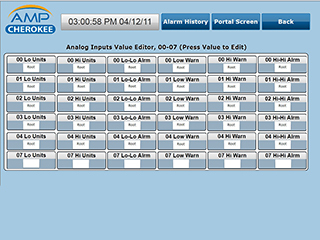 AMP-Cherokee’s DAS ProLogix™ is an integrated DAS package for multiple monitoring systems, including new and existing CEMS and PEMS installations. 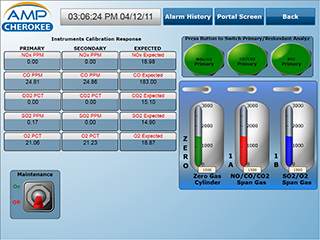 Monitoring and reporting of critical measurements on all regulated and process combustion sources is available across your network and via remote connections. 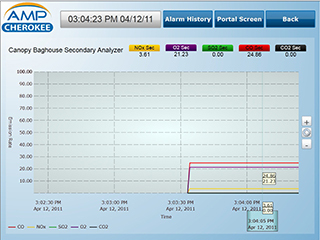 DAS ProLogix™ delivers real time data and alarms over your Ethernet/IP networks for the highest system visibility available. 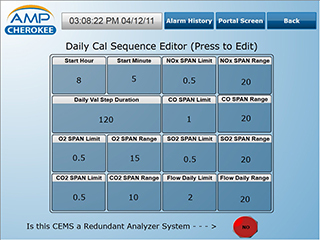 Click the Components tab below for sample HMI screens. 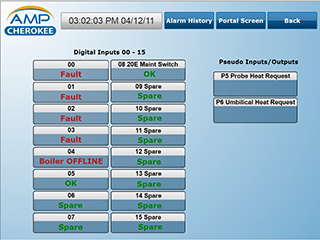 DAS ProLogix™ utilizes an Allen-Bradley® PLC system controller for transferring data to plant operators. Networking is available through Ethernet/IP, Modbus (TCP, RTU, Serial), Profibus and HART protocols. Open DAS Architecture. Microsoft® SQL Database. SCADA Drag & Drop Development. Through its open architecture, the ProLogix Data Acquisition System (DAS) collects emissions and process data and stores it in both a primary and redundant Microsoft® SQL database. 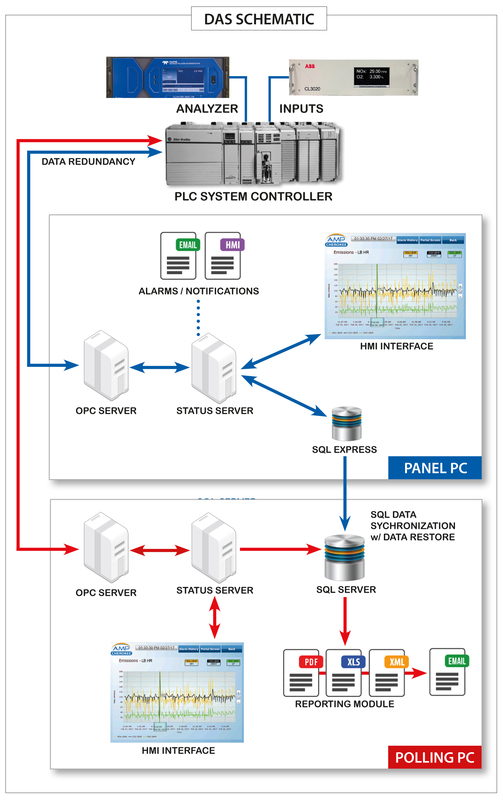 DAS ProLogix™ offers two levels of data redundancy at both the Panel PC and polling computer. 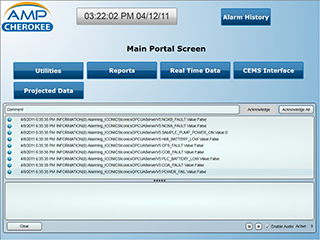 Addressable locations on your network can be assigned to receive current status, scheduled reports and system alarms and notifications - on or off the network. 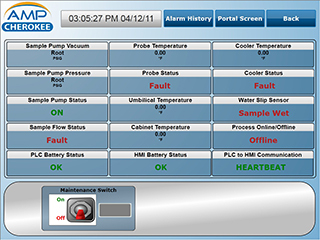 In the event of a loss of communication with the client network, data can be stored on the optional Panel PC. When communications are reestablished, any data gaps are automatically restored (Auto-Restore) on the client network. Compliance Monitoring & Reporting. 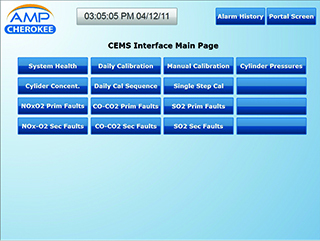 New and Existing CEMS or PEMS. 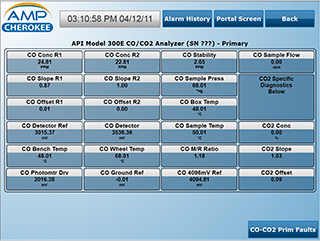 AMP-Cherokee’s DAS ProLogix™ is a full-featured data acquisition and reporting package for monitoring nitrogen oxides, sulfur dioxide, carbon monoxide, carbon dioxide, oxygen, flow, THC’s and opacity -- a wide range of measurements for emissions compliance and process measurement of gas, oil, biomass, hazardous waste and electric arc sources. 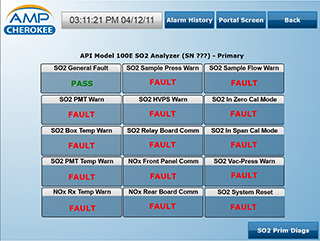 DAS ProLogix™ is an open architecture data acquisition and reporting software complete with its HMI Panel PC interface. 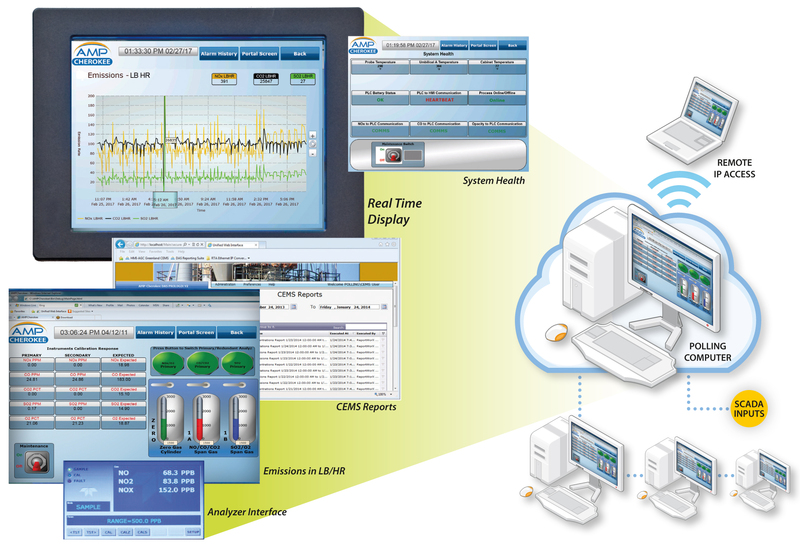 The Allen-Bradley® CompactLogix PLC provides network connectivity and remote operation and alarms . Real Time & Historical Displays. 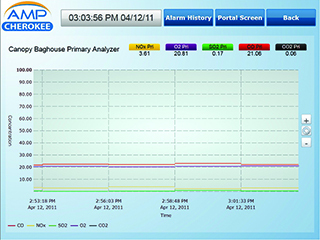 DAS Pro-Logix™ has customizable real time and historical display graphs to allow monitoring of emissions and process parameters. ProLogix Reporting Suite provides email integration for all your Part 60 compliance reporting, including daily calibrations, emissions reporting, and rolling averages. CEMS Remote Operation. Alarms and Notification. DAS ProLogix™ provides remote operations control and monitors the health status of your CEMS. User-configurable critical and noncritical email alarms can be configured across your monitoring network. 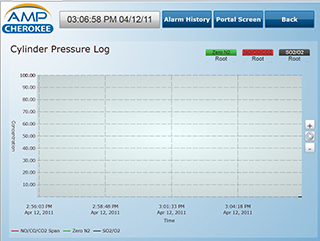 Remote access provides administration level operations, as well as, troubleshooting to locate CEMS faults. 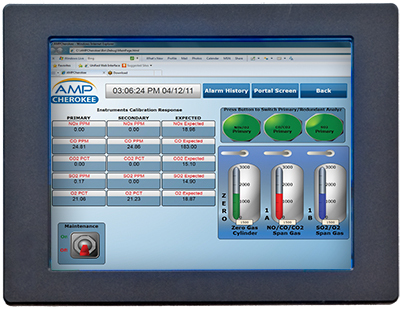 Contact AMP-Cherokee today at 800.399.4236 or sales@ampcherokee.com for a free consultation of your compliance monitoring and process performance needs.